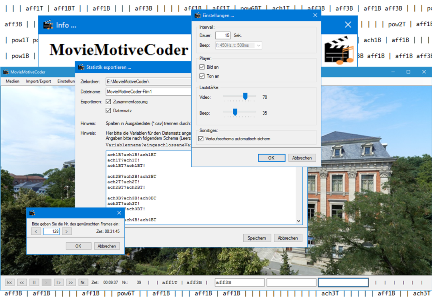 This freeware was developed by Carola S. Walther, Fabian T. Walther, and Martin G. Köllner for researchers who want to code implicit motives in audiovisual material in a standardized way. However, the MMC can also easily be adapted to any coding or rating system which analyses visual or auditory material of any kind (e.g. behavioral analyses of therapy sessions or assessment centers; for further information, please consult the included manual). Its functions include among others simultaneous on-screen coding, an acoustic signal for separating coding frames from each other, automated data backup procedures, as well as aggregating and exporting data for analysis with statistical software packages.